A loved one having a baby is a wonderful occasion. You were absolutely overjoyed until you realised that the planning of the baby shower has fallen on your shoulders. Now you’re stressing out. An event like that can be expensive and if you are a bit short of cash, it could clean you out. You don’t want to let your loved ones down, but you also don’t want to have to ask for help in sorting out the baby shower. 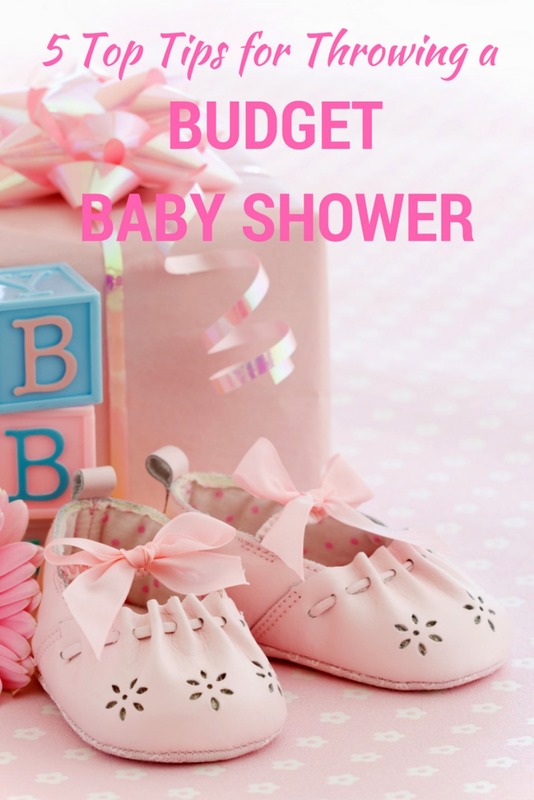 Don’t worry, you can put on a great baby shower without breaking the bank. Everybody will have a lovely time and your bank balance will thank you for it. The location is likely to be one of the biggest expenses. Renting out the perfect restaurant or event space is going to cost you a lot, but it isn’t necessary. The simple answer is, have it at home. As long as everybody is together, the mother to be won’t mind having it at yours. Alternatively, if it’s summer, you could consider having it outside somewhere like a local park. Put a few decorations on the trees and you’ve got an excellent outdoor venue. Even if it is warm, make sure you have a plan in case it rains, you never know. Having lots of professional invites printed is going to be another big outlay, but there’s no need. Most invites these days are done by email, it’s easier for everybody and it doesn’t waste paper. Nobody will bat an eyelid if you send out a well put together e-vite instead. If you have older relatives coming, you might want to do a few traditional ones for them. Everybody else will sort out their own gifts so you only need to worry about yourself for this one. A good baby shower gift will usually be pricey but if you’re clever, it needn’t be. Find some Mothercare discount codes online and you can get some great quality baby stuff without the hefty price tag. No good baby shower is complete without flowers, but a professional florist will charge you over the odds for a bouquet. It might take some of the hassle out of making it yourself, but it’s more expensive and not quite as fun. Farmers markets often sell flowers fairly cheap, you’ll have to arrange them yourself, but it’s worth the extra effort. It gives a more personal touch to the shower and it’ll save you a lot of cash. A good tip for making homemade bouquets look better is to put one signature flower in the middle, choosing the mother to be’s favourite flower is sure to impress. The simple answer, make it yourself. The food and drink don’t need to be anything too fancy. Paying caters is going to be very expensive and it’ll just be the same stuff that you could make at home yourself. Putting a lot of time into the cake will really take the party to the next level, and you can always call in some help from the rest of the family if you’re struggling. Have you thrown a baby shower for your friends or family? What are your top tips for celebrating on a budget?